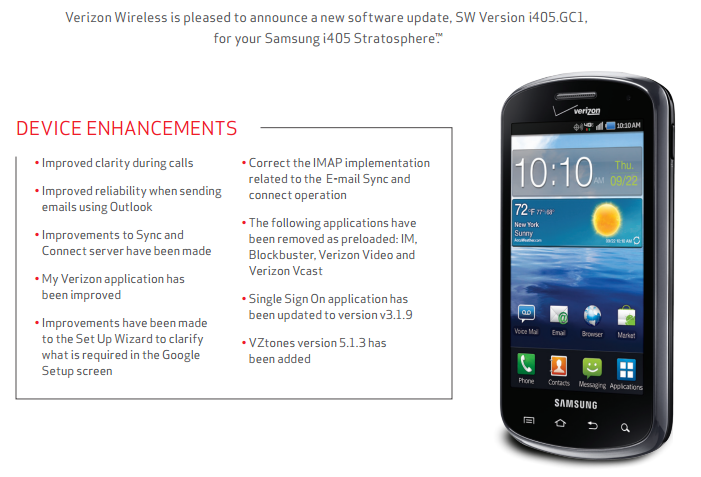 This update to build number i405.GC1 is to improve call quality, correct IMAP implementation, remove old bloatware applications, and improve the My Verizon app among other things. If a Stratosphere is currently in your pocket or sitting next to you on your desk, expect the update to roll out sometime this week at the earliest. Let’s be real – if it doesn’t have ICS by now, it’s not coming anytime soon.